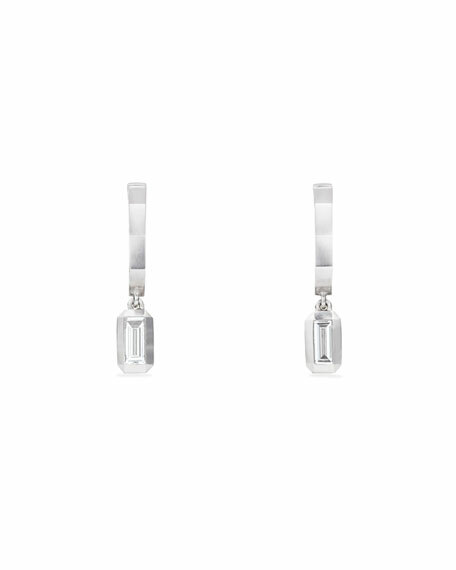 David Yurman earrings from the Novella Collection. 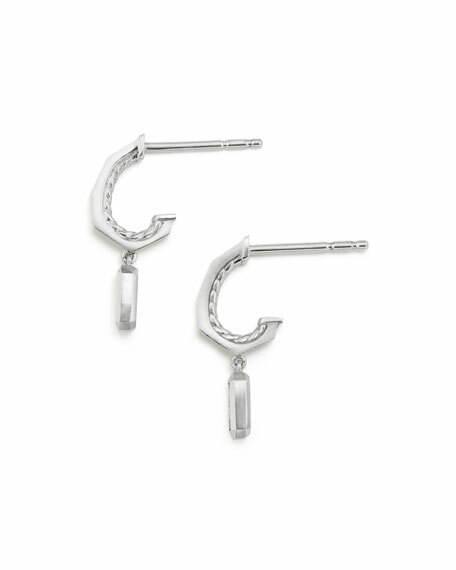 Polished 18-karat white gold hoops and settings. Small hoop with faceted baguette diamond drop.